Our waiting list is full at the moment for pets and show-alters. We will therefore not be taking more reservations at this time. 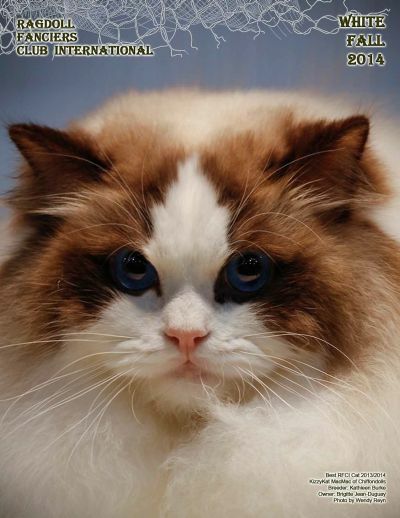 of the 10th International Ragdoll Congress! Chiffondolls welcomes yet again another KizzyKat babe!!! and for trusting us with this Gorgeous and Sweet Sweet Boy !!! We are beyond thrilled to welcome him into our breeding program. Mac attended his very first show the week-end after he got here in Concord, NH on May 4-5, 2013. 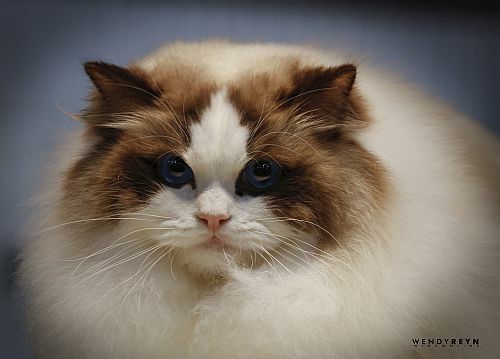 Our stunning boy become a One-Show CFA Grand Champion !!! He then took us on a ride we were not expecting, nor were we ready for loll. 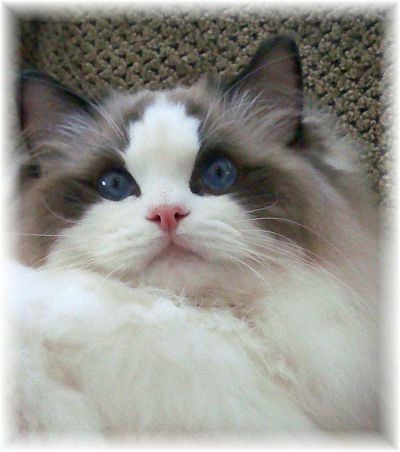 ragdoll in the world for the first 10 months of our show season. 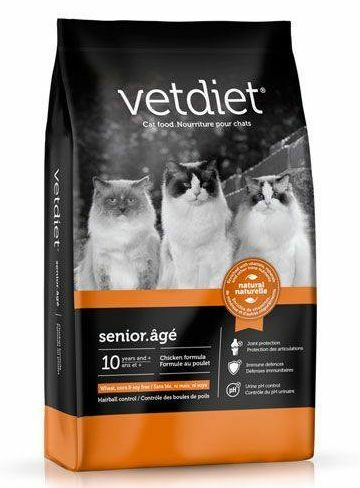 to beat 4,500 other cats during the year. This is absolutly amazing to us. our very first Regional Winner placing 9th in our region. our utmost respect and admiration my sweet boy! how greatful we are. Thank you, thank you, thank you! If you are not familiar with this breed of kitties, prepare to fall in love as we have. 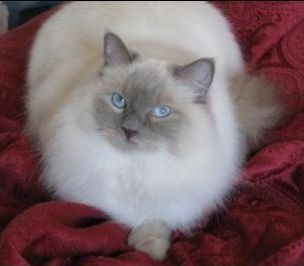 As far as personality goes, Ragdolls are definitely it. They have the sweetest personalities and are real purr babies. They just love their humans to pieces; they will follow you around all over the house and will do almost anything to get your attention. 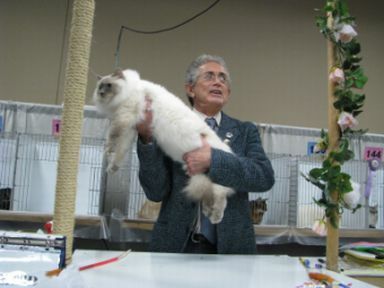 These blue-eyed cats are non-matting and have bunny-soft fur. They really are low maintenance. Come and meet our babies at a show and let your hands feel the Ragdoll experience!!! The name of our cattery, Chiffondolls, is registered with CFA and CCA. We are also registered with TICA as Chiffondolzz. Our website is always a work in progress, so please visit us often as we are working every day at incorporating new material and text for your enjoyment. We welcome any comments or suggestions that you may have for us. Whether it be about breeding, showing or our website. Please contact us. Below and above, you will find our two Show Alters. Even though they are not part of our breeding program, for obvious reasons ;-), they are most definitely the drive behind Chiffondolls. 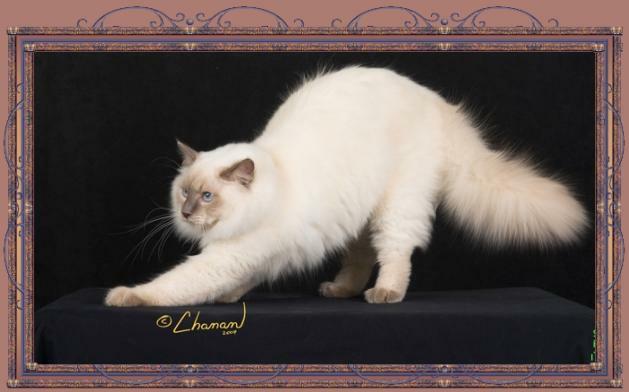 The very rare Lilac Point pictured above is our baby girl LionsRoyale Whippette Delite; and what a ”delite” she is. 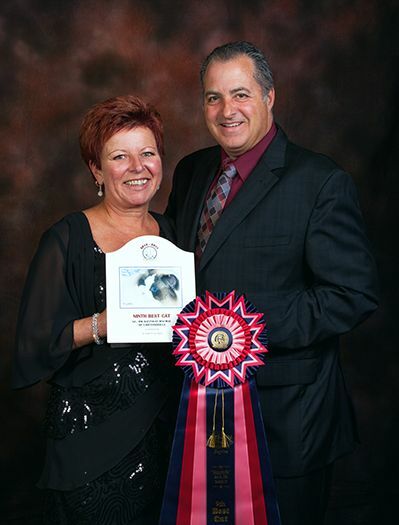 She is a CCA Premier and is a Grand Premier with CFA. 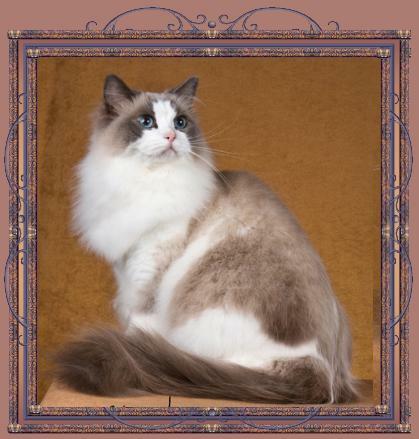 This baby makes history by being the first-ever Ragdoll in the Colorpoint pattern to Grand with CFA. We are so very proud of her and of this accomplishment. 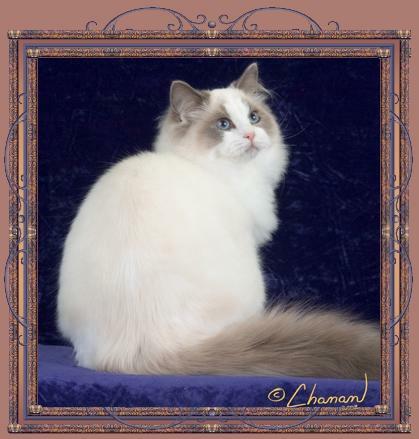 The Blue Point and White (below) is our handsome boy PR Kebekat Abracadabra Shaka. This gorgeous babe is a CCA and CFA Premier. Shaka is presently retired from the show rings. He does not enjoy the shows and is happiest at home where he prefers to loundge around. From left to right, we have Clinton, Sapphire, Coraly and Lola.